Conant, T., et al. (2013). Hawksbill Sea Turtle ESA Five-Year Review National Marine Fishery Service – U. S. Fish and Wildlife Service: 89. Conant, T., et al. (2014). Olive Ridley Sea Turtle ESA Five-Year Review National Marine Fishery Service - U. S. Fish and Wildlife Service:81. Girard, A. (2015). Fibropapillomatosis in Africa – Point-Data and Data Sets Available for FP in Africa; Knowledge Gaps; Lesions and Trends in a Well-Documented Area: Republic of Congo. International Summit on Fibropapillomatosis: Global Status, Trends, and Population Impacts, Honolulu, Hawaii, Pacific Islands Fisheries Science Center, National Marine Fisheries Service, National Oceanic and Atmospheric Administration, U.S. Department of Commerce. Mast, R., et al. (2016). SWOT Report 12. Special Issue AFRICA. Oceanic Society. Arlington, VA, USA: 64pp. Patricio, A. R., et al. (2012). “Global phylogeography and evolution of chelonid fibropapilloma-associated herpesvirus.” Journal of General Virology 93 1035–1045. Selig, E. R., et al. (2014). “Global Priorities for Marine Biodiversity Conservation.” PLoS ONE 9(1). Wallace, B. P., et al. (2010). “Regional Management Units for Marine Turtles: A Novel Framework for Prioritizing Conservation and Research across Multiple Scales.” PLoS ONE 5(12): e15465. Wallace, B. P., et al. (2013). “Impacts of fisheries bycatch on marine turtle populations worldwide: toward conservation and research priorities.” Ecosphere 4(3): 40. Casale, P., et al. (2017). "A first estimate of sea turtle bycatch in the industrial trawling fishery of Gabon." Biodiversity and Conservation. Chelonia mydas) populations in Africa." Conservation Genetics 7(3): 353-369. ">Formia, A., et al. (2006). "Mitochondrial DNA diversity and phylogeography of endangered green turtle (Chelonia mydas) populations in Africa." Conservation Genetics 7(3): 353-369. Girard, A., et al. (2016). “Marine turtles nesting activity assessment and trend along the Central African Atlantic coast for the period of 1999-2008. .” International Journal of Marine Science and Ocean Technology, 3(3): 21-32. Maxwell, S. M., et al. (2011). “Using Satellite Tracking to Optimize Protection of Long-Lived Marine Species: Olive Ridley Sea Turtle Conservation in Central Africa.” PLoS ONE 6(5): e19905. Monzón-Argüello, C., et al. (2010). “Evidence from genetic and Lagrangian drifter data for transatlantic transport of small juvenile green turtles.” Journal of Biogeography: 15pp. Monzón-Argüello, C., et al. (2010). “Genetic characterization of eastern Atlantic hawksbill turtles at a foraging group indicates major undiscovered nesting populations in the region.” Journal of Experimental Marine Biology and Ecology 387(1-2): 9-14. Formia, A. and M. W. Bruford (2004). “Green turtle (Chelonia mydas) phylogeography based on mtDNA haplotypes in the Gulf of Guinea, Central Africa.” Proceedings of the Twenty-First Annual Symposium on Sea Turtle Biology and Conservation. NOAA Technical Memorandum NMFS-SEFSC-528. 368 pp. Formia, A., et al. (2003). 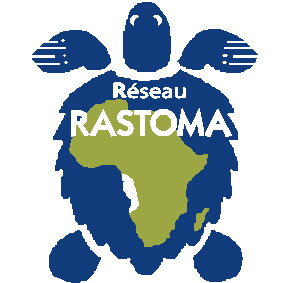 “Sea turtle conservation along the Atlantic coast of Africa.” Marine Turtle Newsletter 100: 33-37. UNEP/CMS (2000). Mesures de conservation pour les tortues marines de la côte atlantique de l’Afrique., CMS Bonn. Fossette, S., et al. (2014). “Pan-atlantic analysis of the overlap of a highly migratory species, the leatherback turtle, with pelagic longline fisheries.” Proc Biol Sci. ( Apr 7;281(1780):20133065. doi: 10.1098/rspb.2013.3065. Print 2014 Apr 7.). Gilman, E. (2009). Proceedings of the technical workshop on mitigating sea turtle bycatch in coastal net fisheries, Honolulu, Hawai, USA, Western Pacific Regional Fishery Management Council, IUCN, Southeast Asian Fisheries Development Center, Indian Ocean – South-East Asian Marine Turtle MoU, U.S. National Marine Fisheries Service, Southeast Fisheries Science Center: Honolulu; Gland, Switzerland; Bangkok; and Pascagoula, USA. Gilman, E., et al. (2009). “Mitigating sea turtle by-catch in coastal passive net fisheries.” Fish and Fisheries: 1-32. Girard, A., et al. (2014). "Les engins et techniques de pêche utilisés dans la baie de Loango, République du Congo, et leurs incidences sur les prises accessoires. ." Cybium 38(2): 117-131. Fossette, S., et al. (2014). “Pan-atlantic analysis of the overlap of a highly migratory species, the leatherback turtle, with pelagic longline fisheries.” Proc Biol Sci. ( Apr 7;281(1780):20133065. doi: 10.1098/rspb.2013.3065. Print 2014 Apr 7.).. Tanner, C. (2014). “Sea Turtle Bycatch off the Western Region of the Ghanaian Coast.” Marine Turtle Newsletter(140): 8-11. Nalovic, M., et al. (2014). The TED pogram in Gabon. 34th Annual Symposium on Sea Turtle Biology and Conservation. New Orleans, Louisiana, USA. Abstract ID: 5891. Angoni, H. and I. Ayissi (2013). Suivi des tortues marines : Une première campagne de suivi des pontes, comptage des traces et baguage des tortues marines a été menée dans la réserve de Douala Edéa., Report for the small initiative grant of the FFEM. Ayissi, I., et al. (2013). “Caractérisation des habitats benthiques et ponte des tortues marines autour du parc national de Campo-Ma’an (Cameroun).” Int. J. Biol. Chem. Sci. 7(5): 1820-1828. Honarvar, S., et al. (2016). “Assessment of Important Marine Turtle Nesting Populations on the Southern Coast of Bioko Island, Equatorial Guinea.” Chelonian Conservation and Biology 15(1): 79-89. Tomas, J., et al. (2001). “Post-nesting movements of the green turtle, Chelonia mydas, nesting in the south of Bioko Island, Equatorial Guinea, West Africa.” Marine Turtle Newsletter 94: 3-6. Loureiro, N. S., et al. (2011). “Praia Grande of Príncipe Island (Gulf of Guinea): an important nesting beach for the green turtle Chelonia mydas. .” Life and Marine Sciences 28: 89-95. Monzón-Argüello, C., et al. (2011). “Príncipe island hawksbills: Genetic isolation of an eastern Atlantic stock.” Journal of Experimental Marine Biology and Ecology 407: 345–354. Fossette, S., et al. (2008). “The world’s largest leatherback rookeries: A review of conservation-oriented research in French Guiana/Suriname and Gabon.” Journal of Experimental Marine Biology and Ecology 356: 69-82. Witt, M. J., et al. (2009). “Aerial surveying of the world’s largest leatherback turtle rookery: A more effective methodology for large-scale monitoring.” Biological Conservation 142(8): 1719-1727. Metcalfe, K., et al. (2015). “Going the extra mile: Ground-based monitoring of olive ridley turtles reveals Gabon hosts the largest rookery in the Atlantic : . .” Biological Conservation(190): 14-22. Witt, M. J., et al. (2011). “Tracking leatherback turtles from the world’s largest rookery: assessing threats across the South Atlantic.” Proc. R. Soc. B 278(1716): 2338-2347. Witt, M. J., et al. (2008). “Satellite tracking highlights difficulties in the design of effective protected areas for Critically Endangered leatherback turtles Dermochelys coriacea during the inter-nesting period.” Oryx 42(2): 296–300. Witt, M. J. (2007). The spatial ecology of marine turtles, University of Exeter. Doctor of Philosophy in Biological Sciences: 133. Godgenger, M.-C., et al. (2009). "Nesting estimation and analysis of threats for Leatherback (Dermochelys coriacea) and Olive Ridley (Lepidochelys olivacea) marine turtles nesting in Congo." Oryx 43(4): 556–563. Mbungu Ndamba, S. (2009). “Evaluation de l’impact des menaces anthropiques subies par les tortues marines nidifiant au littoral de Muanda (monitoring de trois saisons de ponte).” Revue congolaise de sciences nucléaires 23(2): 1-2. Catry, P., et al. (2009). “Status, Ecology, and Conservation of Sea Turtles in Guinea-Bissau.” Chelonian Conservation and Biology 8(2): 150-160. Godley, B. J., et al. (2010). “Unravelling migratory connectivity in marine turtles using multiple methods.” Journal of Applied Ecology 47: 769–778. Ségniagbeto, G. H., et al. (2013). “Suivi des populations de tortues marines au cours de la période de nidification 2002-2003 au Togo et au Bénin.” Bull. Soc. Herp. Fr. 147: 299-308. Weir, C. R., et al. (2007). “Nesting and at-sea distribution of marine turtles in Angola, West Africa, 2000–2006: occurrence, threats and conservation implications.” Oryx 41(2): 224-231. Livingstone SR (2007) Threats to leatherback and olive ridley nests in the Gamba complex of protected areas, Gabon, with a focus on crab predation.